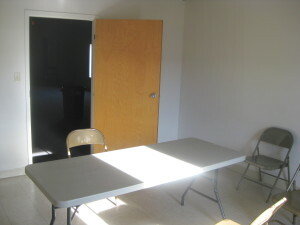 The upstairs rooms are quieter and more private, with their own private bathroom and both an internal and exterior exit. 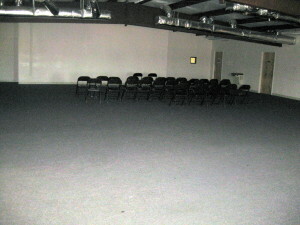 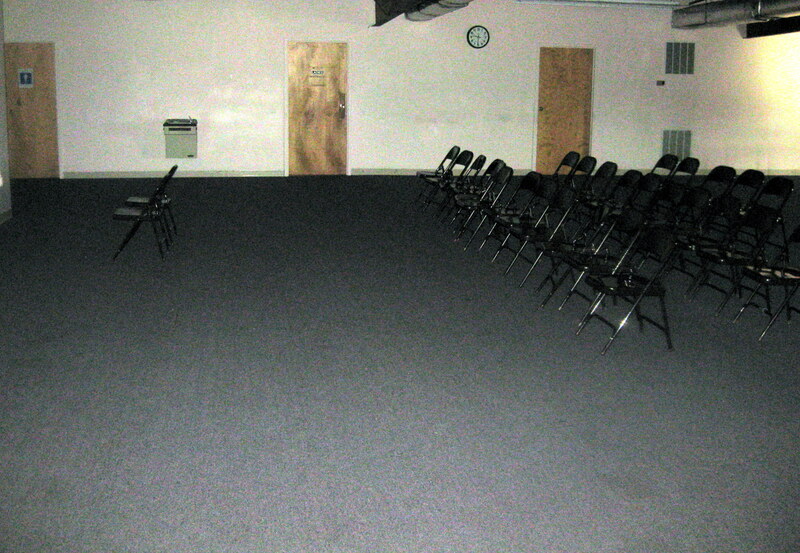 The center room is 40′ x 60′ and can hold 120 people. 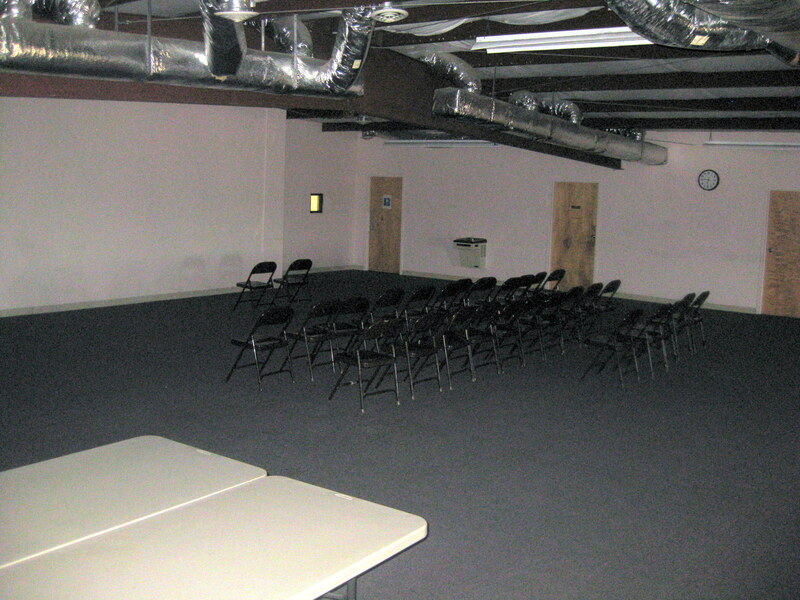 It includes an adjacent smaller 15′ x 20’meeting room that holds a table and up to 20 people. The rooms are carpeted and air conditioned. 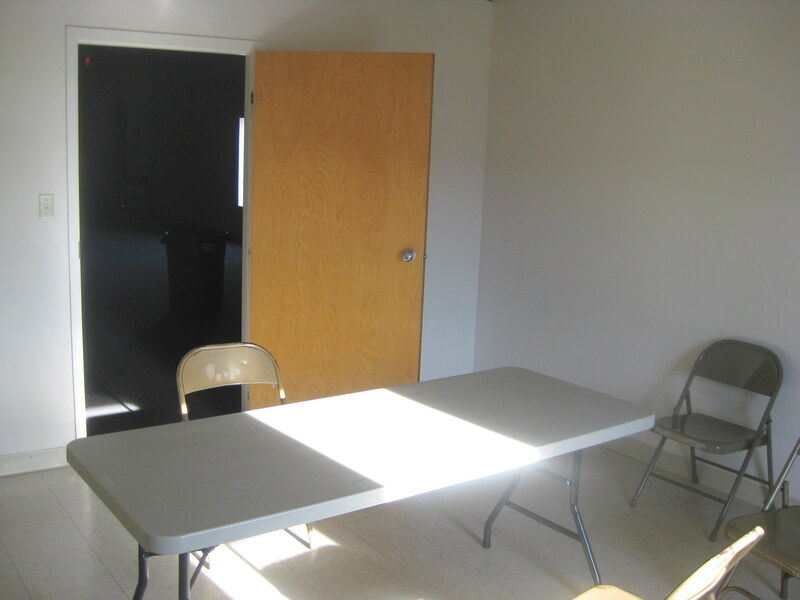 The upstairs rooms rent together for $100 per day. 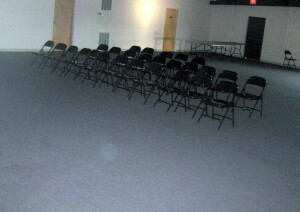 High Rooms with Chairs and tables. 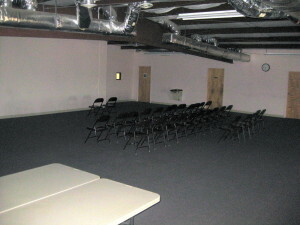 High Room with doors to downstairs, bathroom, and smaller meeting room.